One of the key concepts of U.S. bankruptcy law is that creditors must be treated fairly. This means that the trustee can’t treat one unsecured creditor more favorably than another. It also means that debtors cannot favor a creditor ahead of all other creditors. However, many debtors commit preferential transfers and fraudulent transfers. Imagine the following. A man owes $5,000 to three different creditors: a bank, a credit card company, and his brother. One the day before filing for bankruptcy, he cleans out his savings and pays off his brother. He then files for bankruptcy, listing the bank loan and the credit card debt, both of which he hopes to discharge. The man’s actions are clearly unfair. The $5,000 he had sitting in his bank account should have been divided fairly between his three creditors. In this way, each creditor would have lost the same amount of money for their loans. Instead, the man chose to favor one creditor over the other by committing a preferential transfer. Any payment to one creditor within the 90-day window before filing for bankruptcy will probably count as a preferential transfer. Actual fraud. 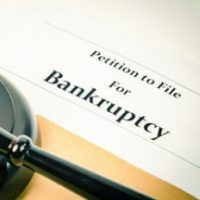 The debtor acted with the intent to reduce the amount a creditor would get by transferring property within two years of the date of filing for bankruptcy. Constructive fraud. The intent of the debtor is irrelevant. Instead, the debtor made a transfer for less than reasonably equivalent value and was unable to pay his debts at the time of the transfer or as a result of it. In the example above, the debtor had cash, which he used to pay off a creditor. Now imagine that the debtor has no cash but does own a boat. He knows that if he files for bankruptcy, the trustee can probably sell the boat and then split the proceeds between his creditors. The man wants to deny his creditors any money, so he sells the boat to his nephew. Probably. Under these definitions, our hypothetical debtor might have committed fraud. For example, he might have sold the boat to his nephew with the intent of making it harder for his creditors to get any money. Alternately, he might have sold the boat for far less than market value to his nephew when he realized he could no longer pay his bills and needed to file for bankruptcy. This also makes it a constructive transfer. When you file for bankruptcy, you will need to disclose any transfers that you have made in the years preceding the filing. This allows the trustee to closely scrutinize any transfers to determine if they were fraudulent. If the trustee believes fraud has occurred, she can try to unwind the transfer and get the property back. If you think bankruptcy is on the horizon, you should be careful about selling, giving away, or otherwise transferring valuable assets. Whoever receives your property could be in for a nasty surprise when the trustee comes to take the asset back. If you have a bankruptcy question, contact Nowack & Olson today. We are a leading South Florida bankruptcy firm that helps individuals and small businesses. You can call us at 888-813-4737 to schedule a free consultation.